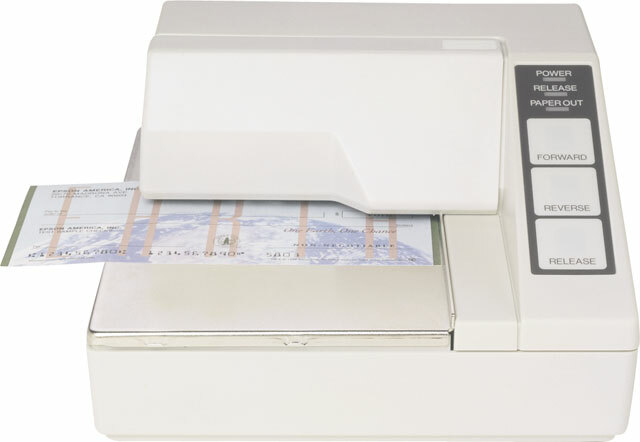 Lightweight and ultra-compact, the TM-U295 is the world's smallest and versatile slip printer. 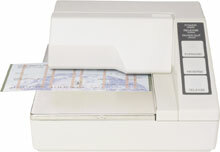 The TM-295 is the smallest slip printer available today. Widely used by many companies from Hospitality to Credit Authorization to Banking the TM-295 offers printing capabilities of normal double and quadruple size print in either horizontal or vertical formats. The TM-295 will print multi-part copies. original and two copies and supports dual cash drawer capability. The TM-295 is available in either serial or parallel versions and meets all world-wide regulatory requirements including UL CSA and CE mark. The TM-295 utilizes Epson's PS-170 Universal Power supply which is an auto-switching supply for the many markets in which it is installed. The TM-295 is Windows and OPOS compliant. Now available in Epson Dark gray (EDG). ERC-27B	 Epson Barcode Ribbon, Black Ribbon for TM-U295, Case of 10 ribbons. The Epson C31C163272 is also known as Epson POS Products	EPS-C31C163272	.